Armthorpe Welfare boss Mike Carmody has called on his players to stand up and be counted as he looks to arrest the slide at Church Street. Welfare suffered a 5-2 defeat at Hallam on Saturday, with their current run seeing them win just once in their last seven matches. 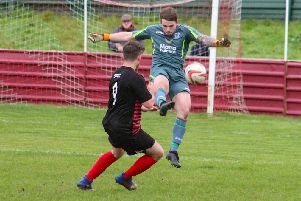 Carmody apologised to supporters for the manner of the performance in the Hallam defeat and insisted the time is now for Armthorpe to turn things around. “For ourselves now we're at a critical point where we need to show what we are made of as a team,” Carmody said. “I've talked all season about the togetherness and hard work of this group of players. “That has certainly been missing of late and we need to rediscover it very quickly. “I'm aware of what a young team we are but I've put my trust and belief in these players so it's time they all stood up, be counted and gave something back to this club. “I apologise to the travelling support on behalf of my players you don't deserve performances of that standard. “We are very disappointed as a team in our recent performances. “We all know they just haven't been up to the standards we've set this season. Armthorpe had started the game well with Liam Radford firing in after three minutes but Hallam fought back hard. Adam Stevens kept out efforts from Kieran Watson and Ben Thornton but was finally beaten on 18 minutes when Mitch Husbands hooked home. And two minutes later, Armthorpe were behind when Thornton laid off for Watson to drill in. On the half hour mark Hallam extended their advantage as Thornton turned in from close range after a good save from Stevens. Welfare found a lifeline three minutes before the break. Luke Williams was fouled for a penalty which Radford took and saw saved, only for Williams to turn in the rebound. Radford was close to levelling up before half time but Hallam were back with a two goal advantage by the hour mark through Watson. The home side wrapped up the points with the fifth on 75 minutes with Thornton slotting home from close range. Carmody said: “We scored early again yesterday after an ok start but we were by no means on top. 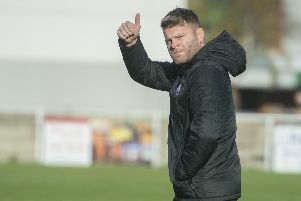 “Hallam are such a big, strong, powerful side that if you don't match them in every department they’re going to brush you aside and in all honesty that's what they did. “At this level Individual mistakes and players not doing what is asked of them is always going to result in defeat. “We played in fits and starts yesterday and put six or seven decent moves together but we have to do that for longer periods of the game. “I don't think Hallam really had to battle that hard to beat us yesterday and that's not good enough.